I have had the best training money can buy, and now also have the experience to prove it. 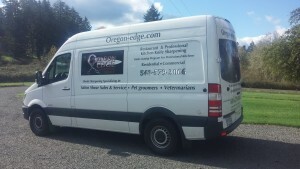 I started Oregon Edge in 2012 and have grown my business exponentially over the years. 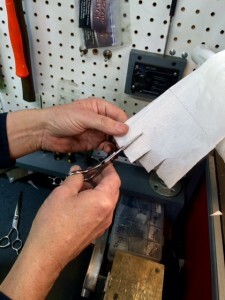 Any of my customers will agree that their shears are in good hands with me. I am Oregon’s only factory trained Sensei sales and service professional. I use Sensei factory water-cooled equipment that keeps heat from ruining the temper of your shears. They are then finished with a super-polished buffed edge. 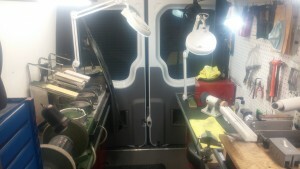 I take your shears into my professional mobile workshop, sharpen them on-site, and have them back in your hands within 15-20 minutes. If needed, I would be happy to provide you with a loaner pair of shears. 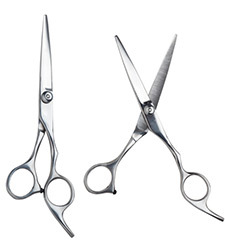 I also carry a full line of shears in stock for purchase. If you call me for service, I will do my best to be there within two days, and if possible, I will be there sooner. I also guarantee your shear sharpening for a full 2 weeks no matter what, even if you drop your shears! Just CALL ME BEFORE the two weeks are up and I will come fix them free of charge!